The art of drag is all about the performance, the shock factor, the innovation and the entertainment and emotion it creates. The success of RuPaul's Drag Race has become a great platform to put a spotlight on the different types of drag and give queens a chance to further inspire audiences. 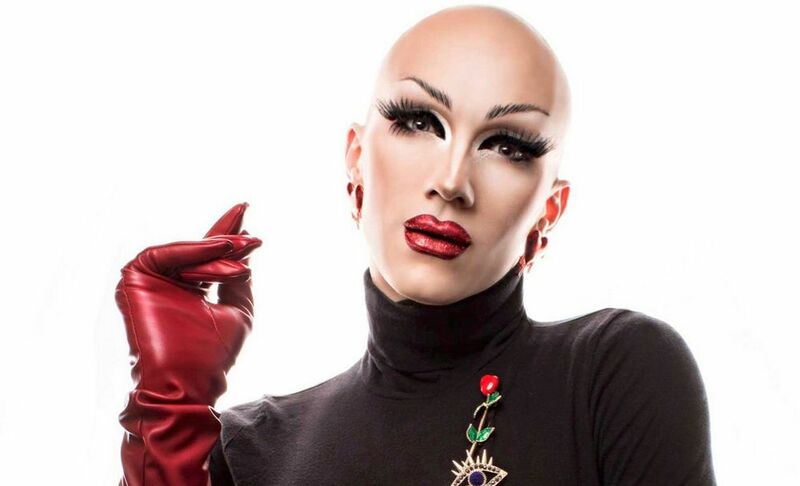 And Season 9 winner Sasha Velour is one of the series most innovative and artistic performers who has finally got the chance to bring her unique stage show to theatres worldwide. 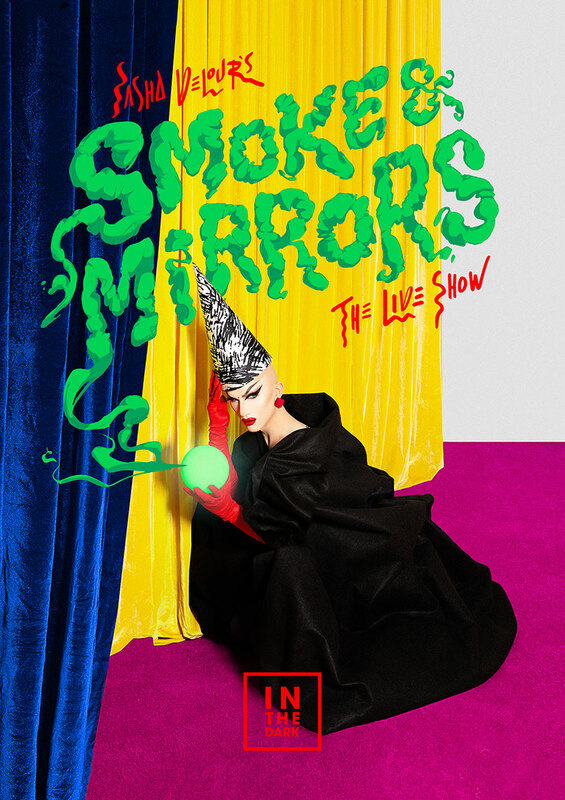 Her debut one-woman show 'Smoke & Mirrors' made its debut in Australia before it expands to travel the rest of the globe. The second city to get the House Of Velour treatment was the diverse all ages Brisbane crowd who packed the Brisbane Convention Centre theatre with eager excitement to see what visual masterpieces the New York queen had prepared. This full length theatre show saw her debuting 12 brand new and some reimagined lip sync performances that showcased her genius mind. Walking out to the centre of the stage where a giant white screen awaited, she allowed projections to be shone on her white dress and the screen while she lip synched to Sia’s ‘Cellophane’. 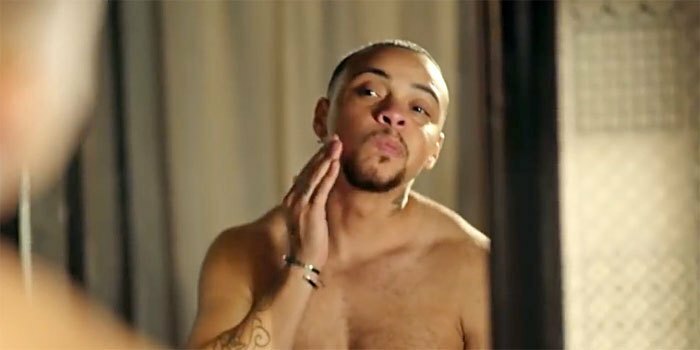 The images of emotional heads and heartbreak filled eyes gave a deeper and raw storyline of mental health and self reflection in amongst this show-stopping opener. Launching straight into it, she kept the numbers rolling with ‘Precious’ which saw her come out in this beautiful angel dress and wings. But during the song she did a quick reveal that saw her hiding a sparkly red devil outfit underneath which had the crowd screaming. Taking a moment to catch her breath she excitingly welcomed the crowd to the show and explained how her cabaret New York show ‘Nightgowns’ came about and where the idea of her fusion of projections and drag come from. “Tonight I’m like Tinkerbell. That harder you clap for me the better I perform” she exclaimed before a video interlude from her childhood allowed her to have a quick costume change. Returning with a white jacket for the campy ’Fame’ she injected some humour while she interacted with some projections of herself before excitingly delivering her Rupaul’s Drag Race winning performance of Whitney Houston’s ‘So Emotional’ with all the infamous rose petal reveals. After a silouhette interlude that painted her like Batman she returned to the stage for the final number of the first half. ‘High By The Beach’ by Lana Del Rey saw her using projections to saw herself in half in an incredible illusion that magicians will be jealous of. It was a moment where everyone was looking at each other confused, in shock and impressed. It was one of the most innovative and mind blowing moments of the night that had you truly speechless. After a brief interlude she returned to the stage for ‘Smoke Gets In Your Eyes’ and ‘Rain Or Shine’ before talking to the crowd about the importance of drag and emotional healing for her. With the crowd feeling all inspired and emotionally invested she kicked it up a notch with the angsty ‘Deceptacon’ which focused on three spotlight projections. Exiting the stage she had a shadow interlude of her getting ready in her dressing room to Celine Dion’s ‘I’m Alive’ before re-appearing in the middle of the crowd towards the end of the song. Explaining her monster ears she gave a back story of how the next number was the first performance her mum ever saw her do in drag. ‘If You Go Away’ was a beautiful and creative piece that interpolated art and imagery to a sweeping storyline. Closing the show with an empowering performance of ‘Wild Is The Wind’ she transformed herself into a tree using projections and told a story of growth. It was the fitting end to this beautiful, incredible and inspiring show which had so many layers. It was funny, quirky, mesmerising, creative and absolutely stunning. There is truly nothing else like it in the world that combines theatre, art and drag so effortlessly. It’s a rare and special celebration of who Sasha Velour is and is an inspiring collection of performances that will encourage you to break the boundaries and reach for your dreams in your own way. This wasn't just a drag show, it was a life experience. 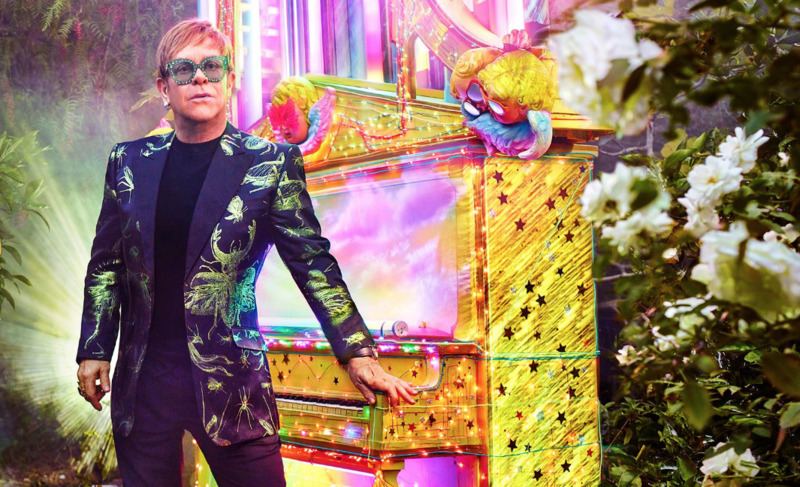 Elton John is ready to tell his story!